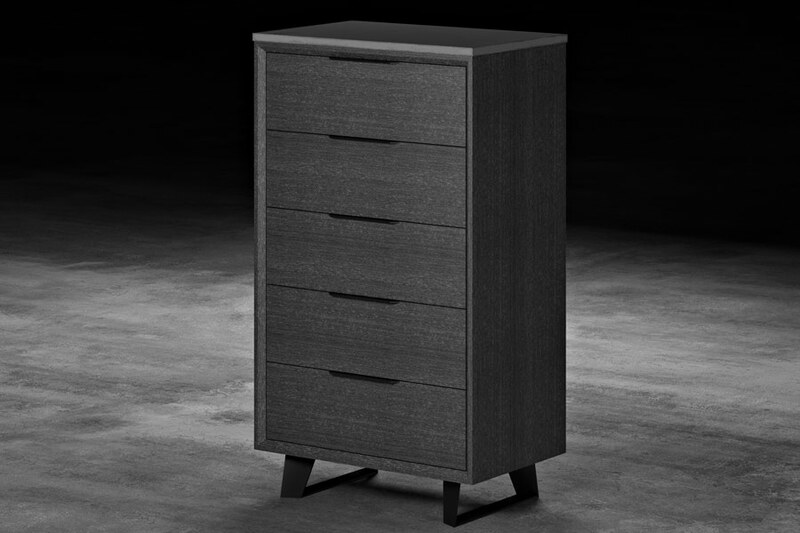 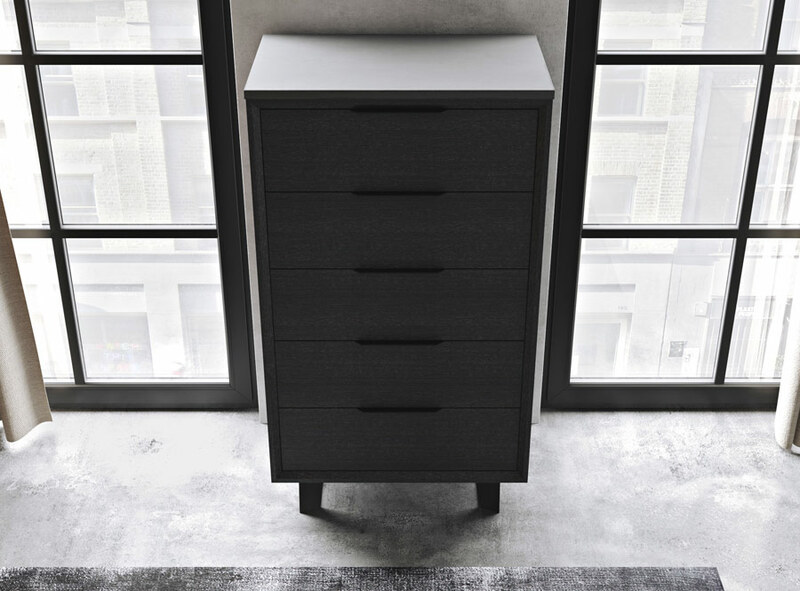 Five smooth gliding, soft closing drawers fill the Amsterdam Tallboy Dresser with a surprising amount of storage space given the low profile of this gray oak veneer urban bedroom addition. 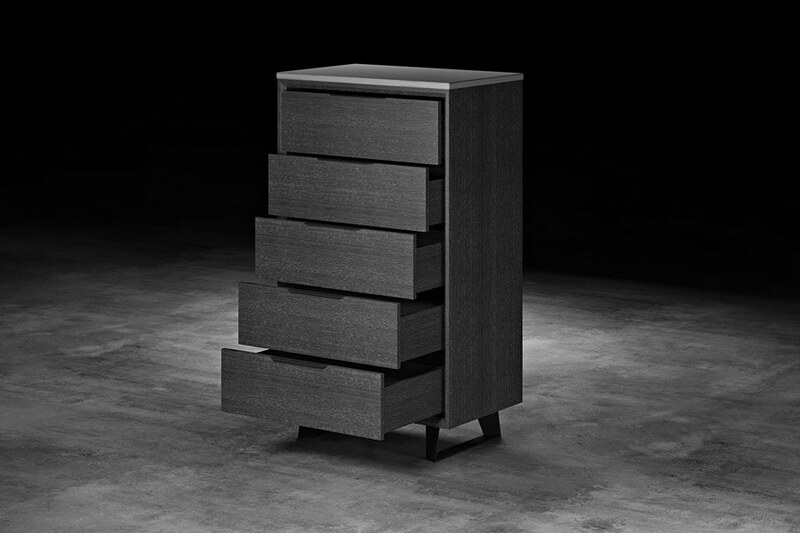 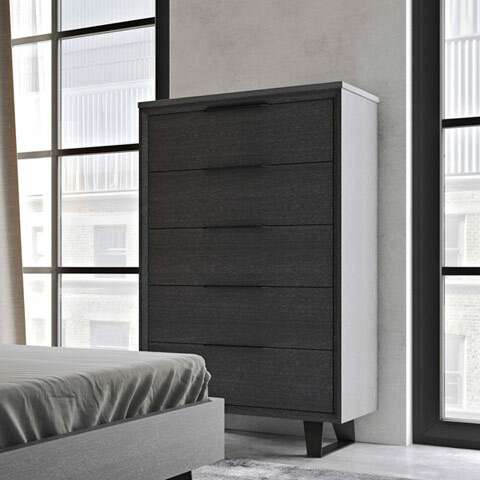 The concrete top of this grey tall chest of drawers is a proprietary blend of cement, fiberglass, and plastics, achieving the industrial look of concrete with a lighter material that's less prone to cracking, staining, and other damage. 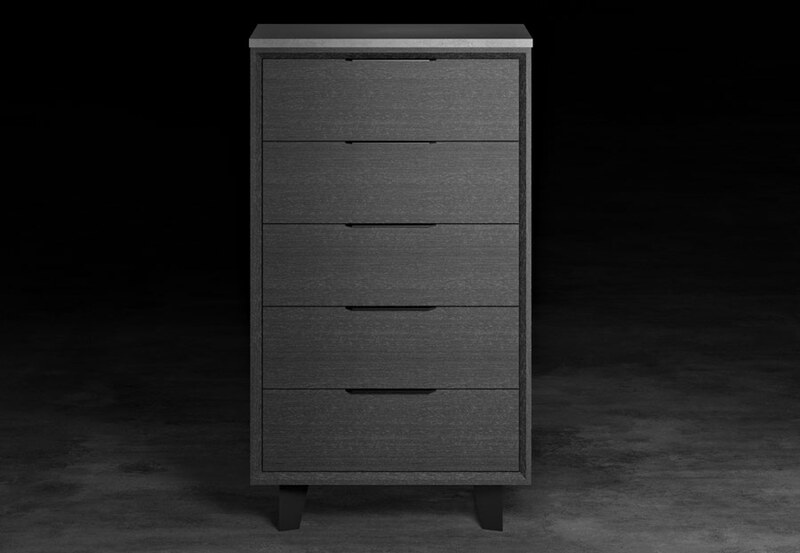 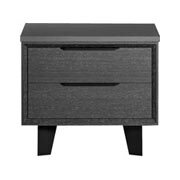 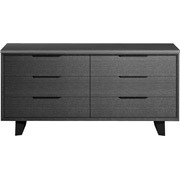 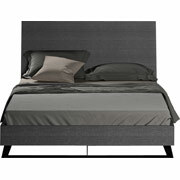 Available in gray concrete top over pine oil treated gray oak veneer. 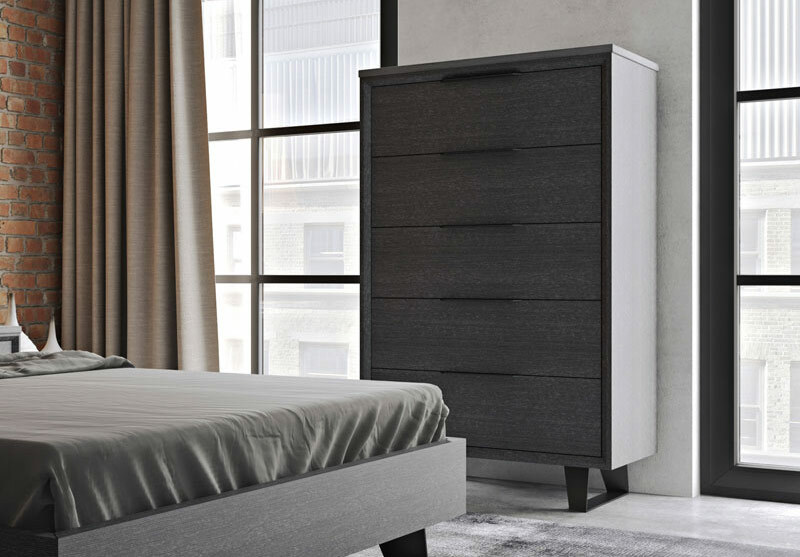 Shop the enitre ModLoft Amsterdam Collection.